If you are lover of light and subtle shades then this waistcoat is designed for you. 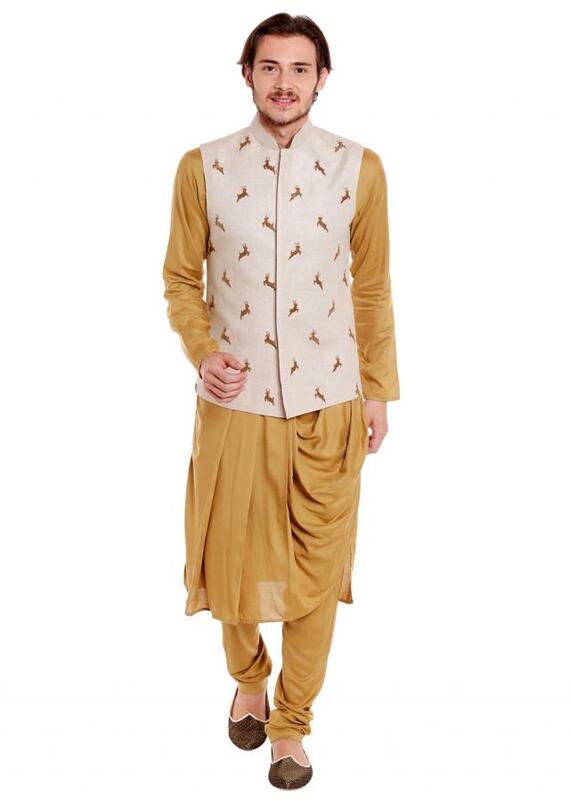 It is featured in raw silk fabric. 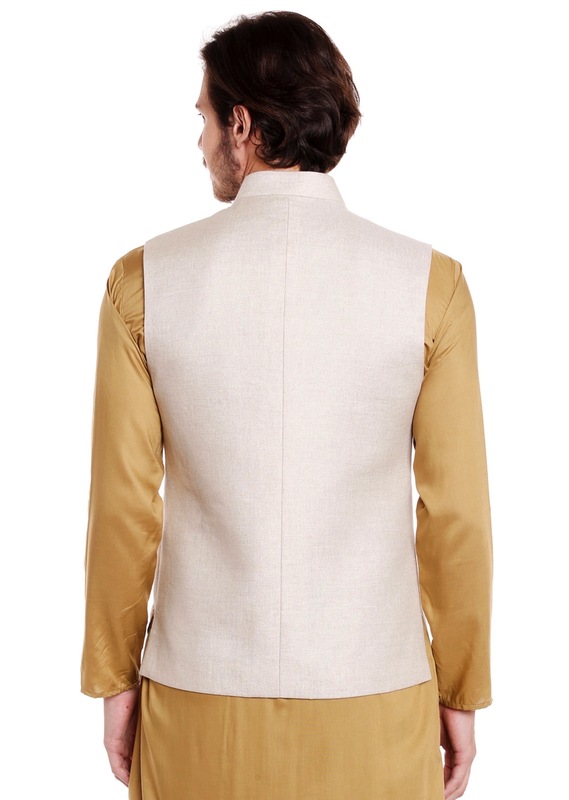 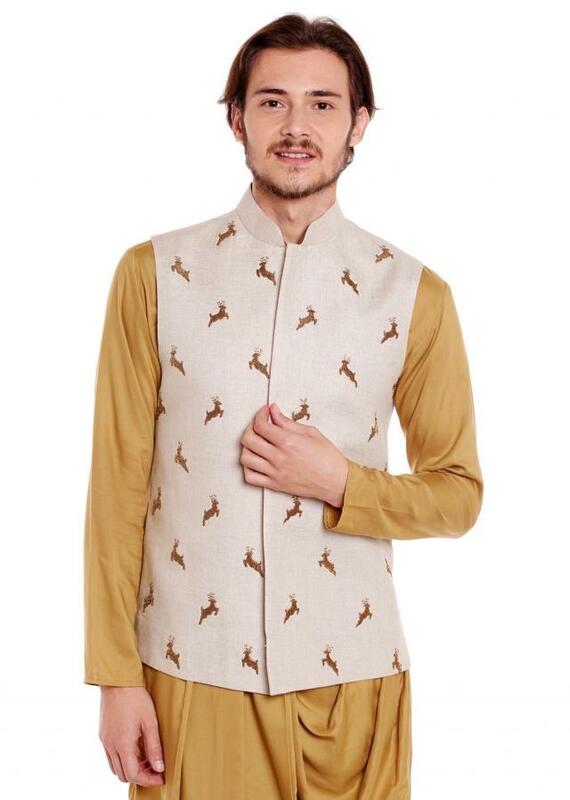 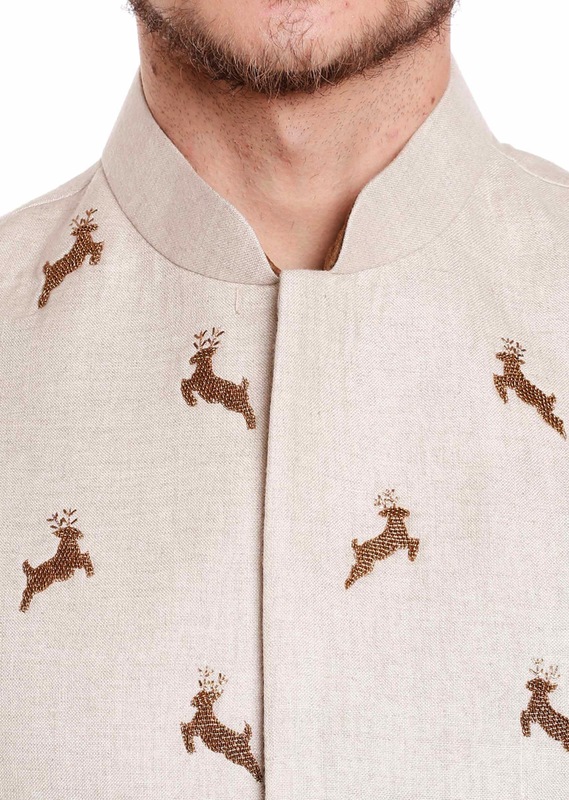 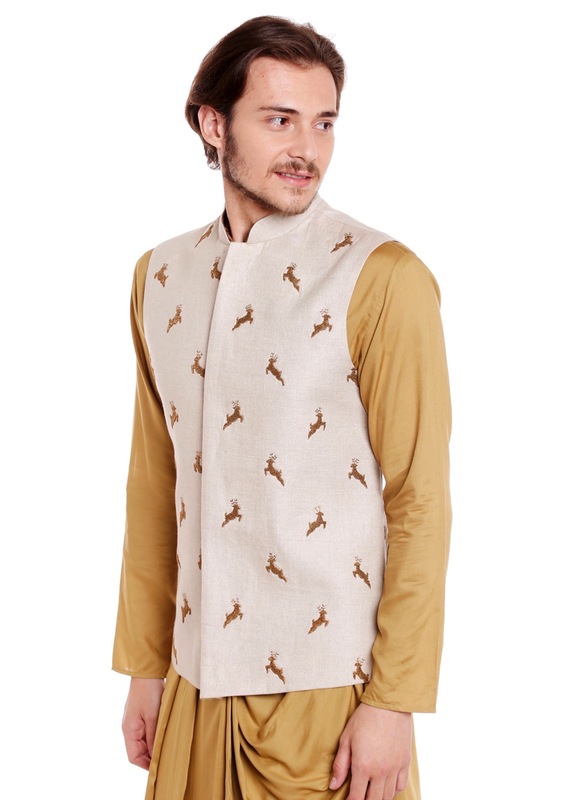 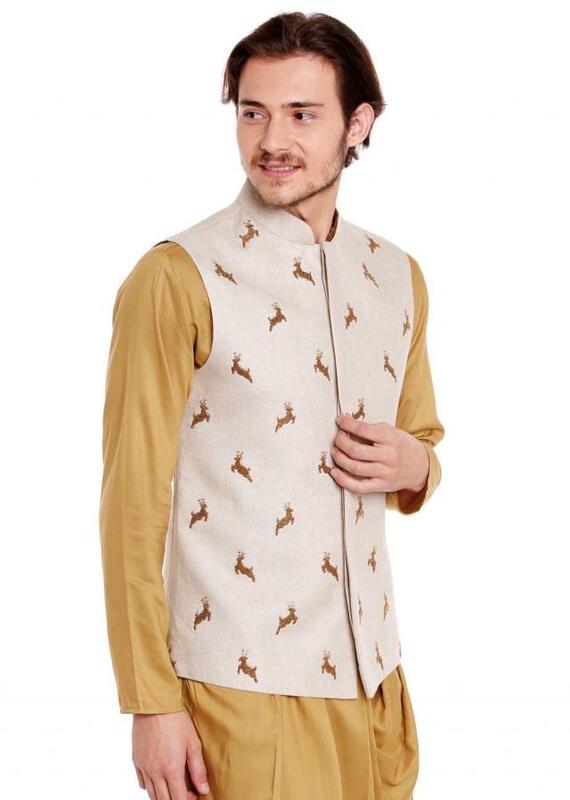 The waist coat with zardosi embroidery in deer motif is enough to get you noticed in a crowd.